About four years ago, UPS launched its “We Love Logistics” ad campaign, which helped raise public awareness about the logistics industry (and helped my family and friends better understand what I do for a living). 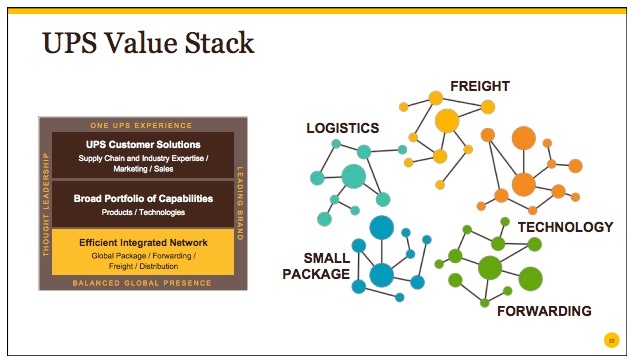 I hope UPS does the same for communicating the value of networks to supply chain and logistics executives — not just physical networks, but digital ones too. 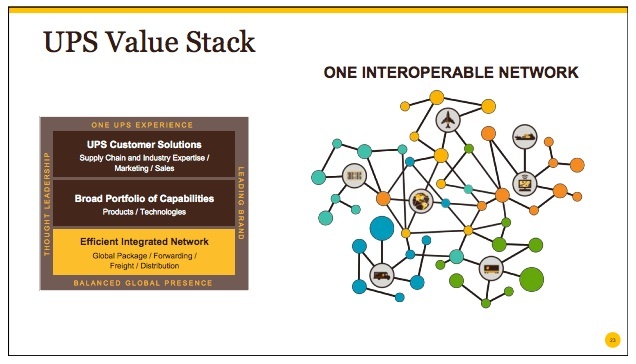 For UPS, “networked for growth” involves migrating its existing networks (Small Package, Freight, Logistics, Forwarding, and Technology) toward a single interoperable network, which would enable the company to provide more integrated and enhanced customer solutions and drive greater process efficiencies and innovation powered by analytics. The network effect for UPS is centered primarily on its physical networks, but a similar network effect exists on the digital side of the supply chain, as demonstrated by the rise of Supply Chain Operating Networks (SCONs). 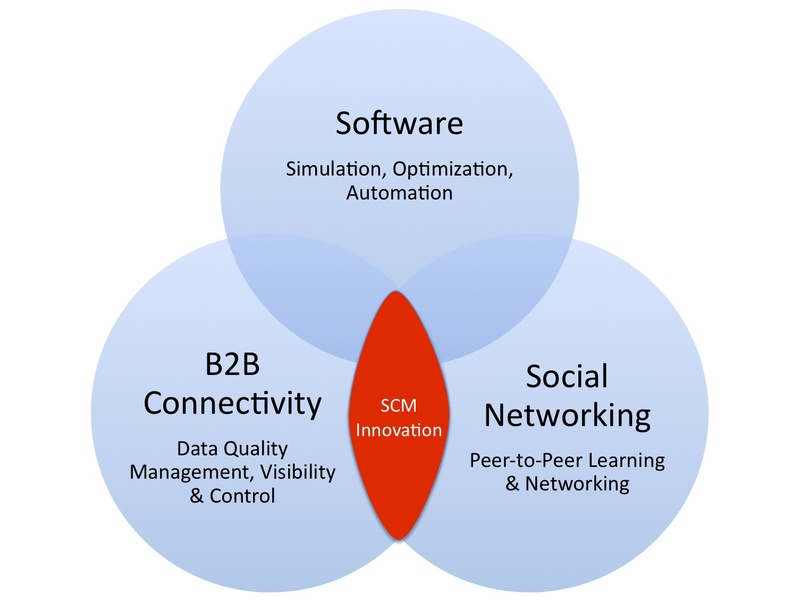 The SCON model has its roots in the industry marketplaces and exchanges that emerged during the dot-com era, and the model further evolved as software-as-a-service (SaaS) solutions gained traction in the market. 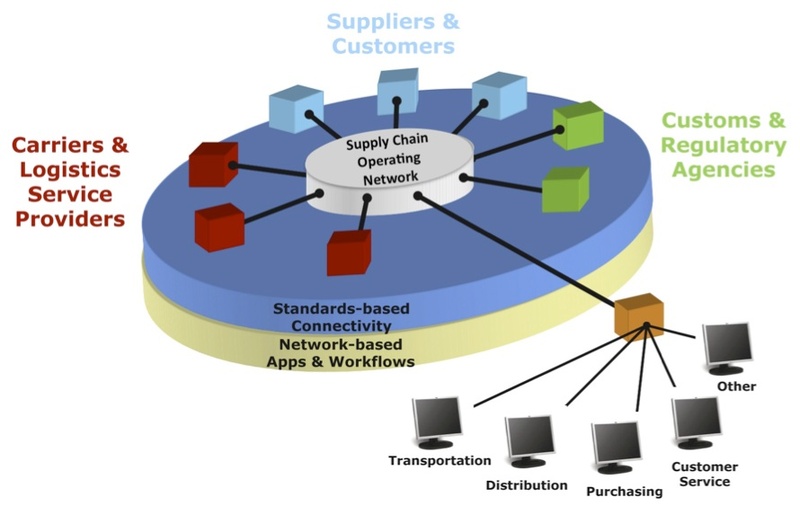 Simply put, Supply Chain Operating Networks bring together trading partner connectivity with software-as-a-service applications. Instead of companies creating hundreds or thousands of one-to-one connections with their trading partners, they make a single connection to the business network, where their trading partners and thousands of other companies are also connected, and they use the SaaS applications that reside on the network to communicate, collaborate, and execute business processes in more efficient, scalable, and innovative ways. Although I’ve written and spoken extensively about Supply Chain Operating Networks over the past decade (see links below), many companies still don’t understand the power and value of the network effect. That’s why I welcome UPS joining the conversation. With their marketing power and visibility, I hope more companies come to realize that they need to be “networked for growth” — that they need to transform the way they connect, communicate, and collaborate with external trading partners, that they need to embrace a new style of IT, and that Supply Chain Operating Networks are the new systems of engagement that are enabling this transformation.